CLUTCHING FALSE PAPERS and disguised as Russian soldiers while sheltering from the bitter winter on the back of a truck, a group of Hungarian men passed through the Alps in search of Austria, which was partially occupied by the US and represented a safe haven. Forced to ditch the vehicle close to the border, the cluster of refugees walked the remaining few kilometres through the snow and the ice and the sub-zero temperatures. It was January 1949 and much of Eastern Europe was blanketed beyond the Iron Curtain. Upon arriving in Innsbruck, some guards recognised one of the group as they sorted through visas and documents. He was a young, muscular man with blond hair. They were football fans and he a footballer; despite being born in Budapest the young man had played and scored for the Czechoslovakian national side and was relatively well-known. It was the promising forward László Kubala. By his early-20s, Kubala was already a prolific goalscorer, having played for Budapest sides Ganz TE and Ferencvárosi and also briefly for the Hungarian national team before moving to Czechoslovakia to play for ŠK Slovan Bratislava in 1946. A year later he had featured for his adopted nation at international level under coach Ferdinand Daučík – and subsequently married his trainer’s sister, Anna. Due to military obligations, the nomad and his wife returned to Hungary in 1948, although Kubala had barely signed for Vasas SC when he would leave her and Branko, his new-born son, to venture across the Alps. It was understood that he and his wife would meet in Italy; he would travel through Austria and she would later swim across the Danube, near Bratislava, with the baby inside a tyre. As he played and scored for his new club, whispers of his presence swept around Italy leading to him being invited to play a testimonial match in the colours of Torino against Benfica in Portugal. Transportation would be provided by the club, and they would be travelling by air. 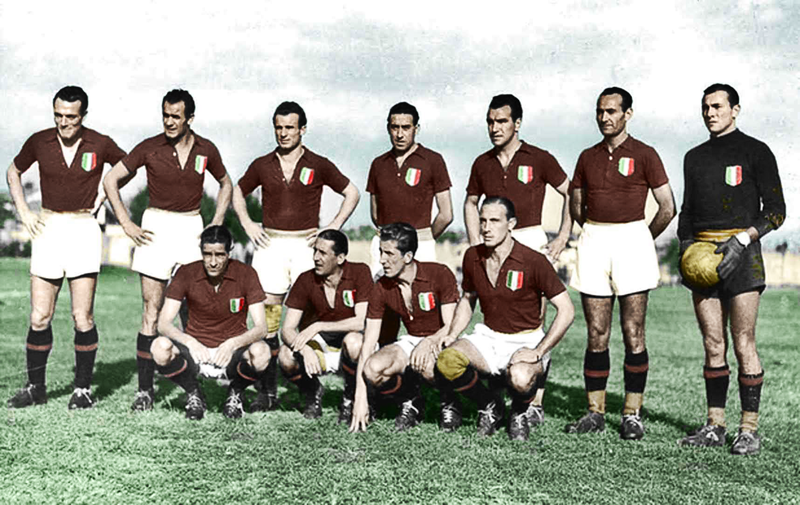 Of course, this was May 1949 and this was not just any Torino side. It was Il Grande Torino, one of the greatest football teams there has ever been. Naturally, Kubala accepted, but upon the brink of departure his exhausted wife arrived in Italy clutching a seriously ill Branko. His decision to stay in Italy and tend to his son proved the most significant of his life; during their return flight, the plane carrying Il Grande Torino crashed into the hill of Superga during their foggy return flight. The wreckage burst into flames. All 31 people on board were tragically killed. At this point Kubala was banned for a year by FIFA. The Hungarians had demanded some form of punishment for various charges, including evading mandatory military service, as a consequence of his fleeing the country. He subsequently headed for Cinecitta, an area of Italy also occupied by the US, which was the home of film production in the country outside of Rome. Almost penniless, here he helped found the team Hungaria along with numerous Hungarians, Czechs, Russians and Croatians, all of whom were political refugees escaping the East. The coach was his brother-in-law, Daučík. A film rntitled Kubala: Stars in Search of Peace was created. In 1950 Hungaria toured Spain, playing Madrid, Espanyol and the national side. Santiago Bernabéu watched the nomad play and was keen to bring him to Real Madrid, but Kubala insisted that the club also had to recruit Daučík as coach – although he was still banned by FIFA. There was also another interested party and they were equally, if not more, determined to recruit the forward. 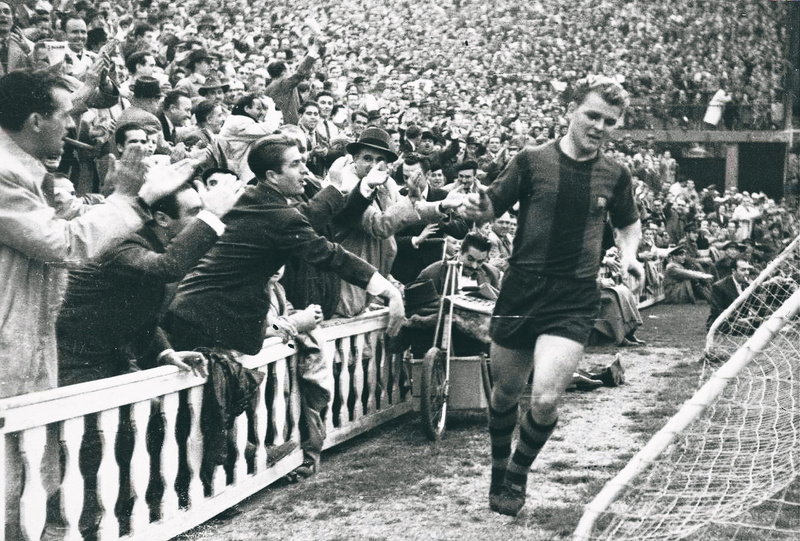 Multiple tales exist that tell of how Kubala’s signature ended up on the dotted line of official FC Barcelona documents. 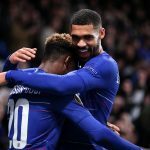 In one version, the forward was so drunk that he was tricked into signing; in another, he received the contract Madrid were prepared to offer him yet did not sign it, presenting it to Blaugrana representatives and demanding they matched it. Ultimately, it does not matter how Kubala signed for Barcelona. What matters is that he did. That there is a statue of the adopted Spaniard now standing in the grounds of the Camp Nou is a reminder of quite how significant his time spent there was. In 1999, during Barcelona’s centenary year (albeit prior to the magical career of Lionel Messi, but still ahead of Johan Cruyff at least), Kubala was voted the greatest ever player to wear the maroon and blue. His time there became truly legendary and, most significantly, responsible for the Barcelona we know and admire today – for because of Kubala, Barcelona had to build the Camp Nou. Kubala and Daučík signed for the Catalan club in June 1950 but the player did not feature in a competitive match for almost a year. 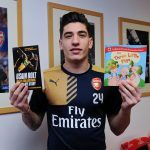 When his ban was lifted in late April 1951, the league season had concluded and Barcelona had finished fourth, although there was still the Copa del Generalísimo to play for and the forward had an immediate impact against Sevilla. Barça won the first leg 2-1 and Kubala scored in the reverse fixture, which was won 3-0. Daučík’s side went on to win the trophy, outclassing Real Sociedad 3-0 in the final. The nomadic Hungarian had played seven games, scored six times and won a trophy. It set the tone for his career as a Blaugrana player. Kubala brought not only a great number of trophies to Les Corts, the club’s home at the time, but people too. The Catalan people wanted to watch Kuksi in action. ‘Kubalamania’ had gripped the Catalan capital. He had become a superstar and Les Corts was too small to cope with the demand. Kubala’s first full season in Barcelona resulted in five trophies. Over the course of the 1951-52 campaign he scored 26 goals in the 19 games he played, including seven in a 9-0 victory over Sporting Gijón. Daučík’s side would win not only the league title but the Copa del Generalísimo, Copa Eva Duarte, Latin Cup and the Copa Martini Rossi. Dramatically, the following year, tuberculosis struck and Kuksi missed the majority of the 1952-53 campaign, however his astounding return late in the day inspired Barça to the league title and another Copa del Generalísimo. By now both he and Daučík had impressive resumes. The Slovak coach departed Barcelona in 1954 after a trophyless season. He was hired by Athletic Bilbao and won successive Copa del Generalísimos in 1955 and ’56, in addition to the league title in ’56. Like Kubala he was a nomad, a traveller with no real homeland, and he would go on to coach a host of different clubs, including Atlético Madrid, Porto, Betis, Sevilla and Espanyol. In 1977 his coaching career drew to an end at CDC Moscardó in Madrid. A decade earlier, in 1967, he and his brother-in-law would join forces for one final time – at Toronto Falcons. It was the end of the road for Kubala on the field of play and the beginning of the twilight of Daučík’s career, yet it was the brief resurrection of a relationship that is one of the game’s finest and most decorated, standing not only the test of time but politics and geography too. Kubala, despite the departure of his friend, father figure and coach in 1954, remained in Barcelona. He was the hero of Les Corts and would go on to become its king. Spectators came in their thousands to watch the dynamic playmaker, for his game was quite so diverse and inspiring. Physically he was bullish, aggressive and muscular. He had trained as a boxer in his younger years and his body reflected that. Sid Lowe, in his book Fear and Loathing in La Liga describes him as “Hulk-like” with “rippling muscles”. In one instance, Lowe describes how his shirt was ripped from his body by defenders from Brazilian side Botafogo physically unable to stop him. He played on, and scored, bare-chested. Real Madrid legend Alfredo Di Stéfano described him as a “strong man” and that you “couldn’t knock him over with a cannonball”. But he was also agile, able to beat most defenders for speed, and could strike the ball fiercely with his thick, strong thighs. He was not a complete bully, however; he had a care for aesthetics and the beautiful side of the game. His athleticism was complimented by trickery and intelligence and he was famous for something that now seems obvious but in the ’50s it was truly ground-breaking. Kubala was the first free-kick taker to curl the ball over the wall. Luis Suárez, the playmaker in Helenio Herrera’s famous Internazionale side from the early to mid-1950s, and later a player for Barcelona, said that “no one had seen anyone curl a ball over a wall before … he was an extraordinary player who brought to Spain a series of innovative improvements and perfections. He united physical power and exceptional technique.” He supposedly only ever missed one penalty, too. Perhaps most importantly, Kuksi was a team-player. He was not selfish or egotistical. He was a leader and generated such confidence in his team-mates that they felt they could not lose when he played. He knew he was the best and he was treated, and paid, as such. Kubalamania continued to grow and in 1957, as a result of the popularity generated by the icon and the football he inspired, Barcelona moved to their new stadium. The following year, a figure who would prove very significant in Kubala’s career was hired by the club as coach, replacing the Spaniard Domènec ‘Domingo’ Balmanya. Helenio Herrera was an authoritarian. As coach of Atlético Madrid, a decade before his Internazionale side would begin writing themselves into the history books, he had won back-to-back Liga titles and arrived at Barcelona in 1958 in order to break Real Madrid’s firm grasp on the championship. With their legendary team of Ferenc Puskás, Di Stéfano and Paco Gento, they had claimed the title in ’54, ’55, ’57 and ’58. In order to reach the level necessary to compete with Madrid, Herrera demanded that his players follow strict conditions, including no drinking and smoking. One person in particular, however, stood in his way of imposing that upon the whole squad. Of course, that was none other than Barcelona’s king of that era: the heavy-drinking, womanising superstar, László Kubala. Kubala’s nights out in the Catalan capital were supposedly legendary, involving a great deal of whisky and flamenco dancers. Incredibly, prior to Herrera’s arrival, the club’s directors and local journalists were known to join the Hungarian and his team-mates on such raucous ventures. His typical hangover cure consisted of a shower, a nap and a coffee with aspirin. Yet it was all considered to be in good nature – the consensus was that this was a form of team bonding and that Kubala always looked after his team-mates. Naturally, Herrera could not allow this to go on. He could not have somebody in his team with more power than him. Kubala was soon out of favour with his coach and dropped to the bench. Rather than embracing Kuksi’s personality, this proved to be Herrera’s fatal flaw: despite breaking Los Blancos’ monopoly to win the league in ’59 and ‘60, in addition to a Copa del Generalísimo in ’59, Herrera was sacked after dropping Kubala for a crucial 1960 European Cup semi-final against Real Madrid and losing 6-2. The directors knew where their loyalty lay. Kubala had won. Of course, while Kubala enjoyed great success throughout the 1950s, which included featuring and scoring for the Spanish national team, the most dominant international football team of that decade was that of his home nation, Hungary. The Magnificent Magyars are one of the greatest teams never to have won the World Cup, and may have been even more potent had the forward not been ostracised from his homeland. Indeed, it is possible that because of the difficulties he faced in Hungary, in addition to his treatment at the hands of the country’s FA, Kubala did not regret never featuring in that famous side. 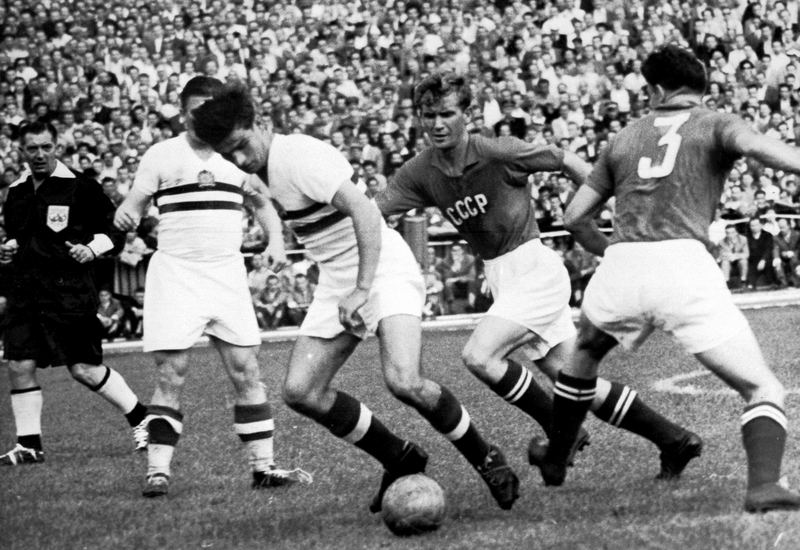 Perhaps the 1954 World Cup final, often referred to as the ‘Miracle of Bern’, would have played out differently and Gustav Sebes’ side would have achieved the commemoration they deserved, had Kubala played alongside Puskás. Football is a game of ifs and buts, and this is one of the greatest what ifs the game has to offer. Who knows what story the history books would tell if Kubala had played alongside Puskás. 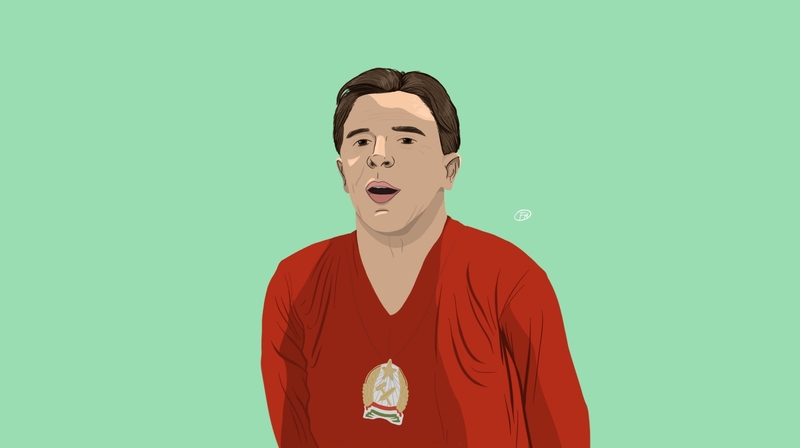 What seems like such a missed opportunity contributes considerably to how Kubala, his life and football career is perceived; there is a sense of undoubted and sheer greatness although it is not unfair to say that he is not held in the same regard as the game’s greats and his Hungarian peers of that era. His career was still extremely instrumental and significant and his exciting playing style drew in the crowds that led Barcelona to construct the Camp Nou, which is one of the greatest stadiums in the world. His quest for aesthetics led him to reinvent the wheel and take free-kicks in a way that is now common practise. Kubala was one of football’s finest action heroes: he was inspiring, brave and exciting, an outcast and a nomad ultimately just searching for somewhere to call home. He was a rebel who did not allow politics, conflict or illness to stand in the way of his desire to succeed. He toyed with fate and, if it were not for his son’s illness, would have been killed in the Superga disaster. He held firm morals and did not waver in his beliefs, often helping the homeless with money and shelter. He was stubborn, and a heavy drinker who did not like his authority to be challenged. 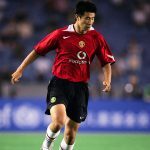 He was a brutish, strong player, and a heavy-handed warrior with a deep appreciation of aesthetics and the ability to carry out intricacies on the football pitch. However, despite being one of the most colourful characters in the game’s history, his name is barely ever brought up in conversation. He does not appear on lists of ‘Football’s Greatest’, despite his momentous achievements. Sadly, and unfairly, he is overshadowed by other greats of the same era. Yet László Kubala was undeniably an artist and a man who transformed persecution and displacement, issues still very prominent today, into beautiful football. He deserves to be celebrated and remembered as such.